The Search page is one of the most used pages on a website and it is considered to be the second most important means of navigating a website, the main menu being the first. Thus, it is essential to give it the attention it requires and make it as user-friendly as possible. The search page could be an important factor which can determine your website’s conversion rate and it should not be neglected. A poor search page can harm your website because visitors won’t be able to find what they need in a short amount of time. Because having a well-designed search page is crucial, we decided to gather here 20 examples of user-friendly search page designs for your inspiration. Some of these belong to very popular websites, you probably already know. Tumblr is a great blogging platform and has a very user-friendly interface. Its search page has a grid layout which makes it very easy to browse through the results. With Moodboard you can build beautiful, simple, free mood boards for sharing designs, inspiration, and ideas quickly and easily! 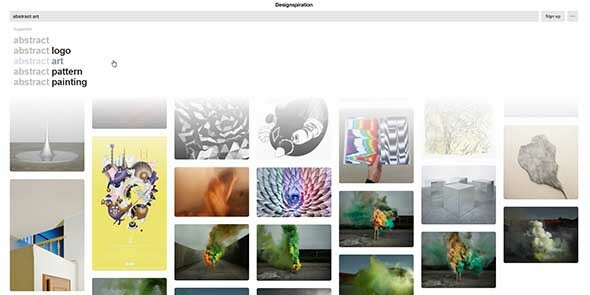 Its search page is also grid-based, so you can easily browse through all the photos, without clicking too many times. Mixcloud is a service that lets you listen to the best DJs and radio presenters in the world for free. It has an overall user-friendly design and its search page is particularly inspiring because of its usefulness. You can search by tags, shows, users and easily click on Listen or Follow, right from the results page. This website has its search field incorporated in the left bar of the site. It shows the results in a non-intrusive way. This is a unique web search solution that shows the results in a bar along with small features images. CodePen is a popular website for web developers. This website is a showcase of advanced techniques with editable source codes and has a very user-friendly search page. You can search by Pens, Posts, Collections or Users and even set other options such as limits, order, search depth and more. Dell’s website is great. It’s simple and easy to use. The search page delivers the results in a straightforward way. You can also Add to Cart or View Details for the chosen product, right from the results page. Meetup is an online social networking portal that facilitates offline group meetings in various localities around the world. You can search either Groups or Events, within a given number of miles from your location. New York Magazine is a huge, popular website with hundreds or even thousands of posts. The search page is designed to deliver the results in a fast, user-friendly manner. It displays the results similar to Google Search for websites. This website offers beautiful hand-picked freebies from the Dribbble community. Its search page is simple, clean and you can easily find what you’re looking for with just a couple of clicks. The search results are displayed in a clean grid layout. This website has a pretty basic Search Results page which is more content-oriented rather than visual. This is not really a bad thing because this way the page loads faster and you can get to the pages you’re looking for a lot easier. This website’s concert tickets search page does not only look great, visually speaking, but it is also very user-friendly and delivers the results easily. You can search within an area, choose a date range, add different sorting options and even apply desired filters. Design Disease provides articles about blog design, graphic design and web and UX design. It has a simple search page with large, bold headings. This way it makes it easy to spot out the result you’re looking for. What’s great about this website’s search field is that it almost covers the whole page! This way, it makes you pay attention to what you’re looking for. It also has a suggestion option and the search results are displayed in a masonry grid. This website has a more complex search system. You can choose different formats, colors, dimensions and apply all the desired filters in order to get the results you want. You can surely find the icons you’re looking for on this website, with the help of the powerful search solution. This website’s search page is simple and clean. The search results contain a large, bold heading, small featured image, category and a short excerpt. 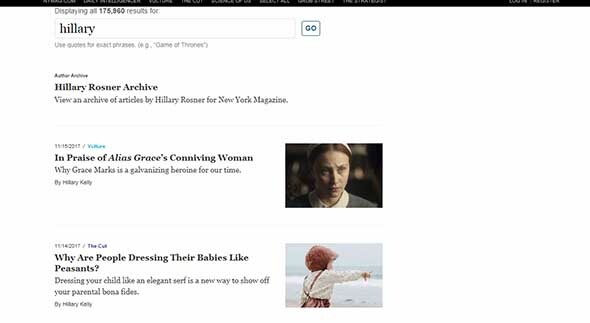 This type of web search system is perfect for online magazines and blogs. it also shows the category of the article and other meta data information. On this website, you can find some great tutorials and also a pretty awesome search page! The results are displayed in a grid layout and you can also search through a list of given categories. It’s very easy to use and sort out, so you can find what you’re looking for in an instant. Get straight to the result you’re looking for! This museum’s website offers a simple search page that delivers the information in a user-friendly way. This is a unique web search that is non-intrusive and efficient. This jobs directory website’s search page lets you apply different filters for achieving the best results. Search by job type, skills, location, levels, company and more. This type of web search is particularly useful for directory websites. This web search system lets you sort by relevance or date and filter by articles, popular posts or even comments! This website has a very user-friendly search page design you can learn something from. it combines both text results with featured images, for a more user-friendly experience. This is a blog and archive dedicated to the art of film poster design. It has a very simple, yet effective search page with some useful features for its niche. Yes, search page is very important. Most important in decrease bounce rate of your website.